This entry was posted on July 17, 2014 by TemplatesMaster. 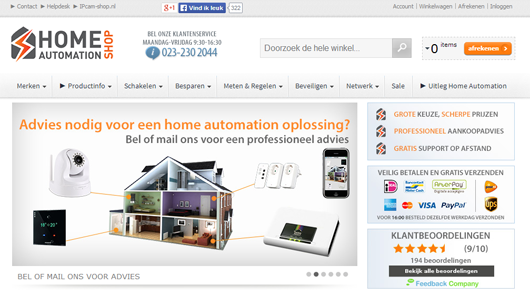 In the current post of our case studies we are really excited to tell story of our client operating several stores selling IP cams and home automation products at IPcam-shop.nl and HomeAutomation-shop.nl. 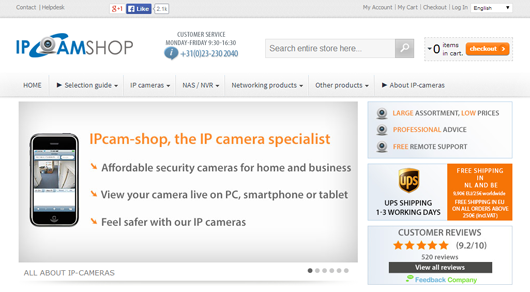 We started in April 2010 with IPcam-shop.nl after we found that the IP camera product assortment was upcoming but that there were only a few web shops in the Netherlands which sold affordable IP camera products for home users and small businesses. We started shipping from home (as many web shops do in their start-up phase), but after a nice growth path we outsourced the logistics to an external warehouse. After another full year of successful growth we decided to insource again the logistics and we moved to an own office/warehouse and hired up to 4 people currently speaking. Last month we had the opportunity to extend our product assortment via the acquisition of the web shop HomeAutomation-shop, which is also an upcoming product assortment and in which we have a lot of confidence to become successful as well. Can you tell us more about your business and ecommerce experience? My background is rather technical. I have worked in the mobile communications industry as engineer mobile/3G within some large companies for years. I had no experience at all in ecommerce but I like to learn and study and made myself familiar with it as it came. Also I look at my web shops as being a customer myself so very critical and always looking for improvements. 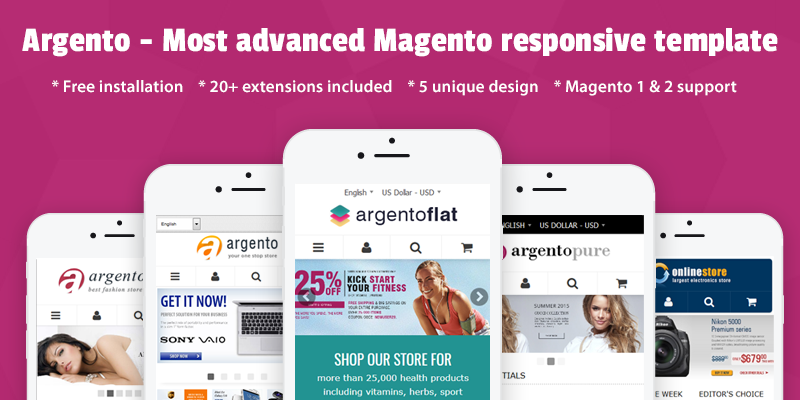 Why you have chosen Magento? I got this advice from a colleague worker at my previous job who was some sort familiar within Ecommerce. What our products do you use? And all extensions that are part of Argento package of course. Why did you decide to start working with Templates Master’s extensions and templates? As soon as we launched our business I started searching for a template to use in Magento and I came across Magento Classic Theme which was and still is a very famous Magento module developed by TM. The support and service from TM was something I never experienced within any other company. As a result I started to look at useful modules from TM and we found many TM modules which add value to our web shop and especially the Fire Checkout module which we are using for years now. Can you share any results of using FIre Checkout?? We can look back at the history and noticed a 15-20% increase of orders one month after we started with Fire Checkout. The nice thing about Fire Checkout is that it is improving so often, many improvements have been included since the initial version. What is your favorite Fire Checkout feature? Definitely the layout! It is very clean and neat and does not distract from the main goal on every checkout page, to finish and pay the order by your customers. What other Fire Checkout feature you would suggest to focus on? As many improvements/new features already have been included I cannot think of anything right now. Can you give advice to beginners in ecommerce? You need to have a lot of energy and be eager to learn many aspects of e-commerce in your route to launch your website and have the first order. Do you have any special offer for our clients? In case you are interested in posting your story about using our products, you can contact us using our contact form.